"After her antics in A Most Improper Magick, Kat Stephenson is back to cause more chaos! Stepmama drags the family to Bath to find Kat's sister a new suitor. But, unknown to most of its gossipy visitors, Bath is full of wild magic. When Kat uncovers a plot to harness this magic in the Roman Baths, she finds her brother Charles is unwittingly involved. 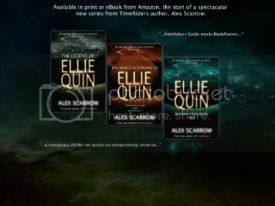 Kat must risk her newfound magical powers as she defies the Order of the Guardians to foil the plot and clear her brother's name"
This is my very first ARC I have been sent from publishers - uber excitement in my house I can tell you!! So the book I read actually just had a yellow cover, but I was also sent a taster card of the actual cover which is once again so beautiful. Fits in well with the first book, but has its own look. I highly approve! I will be as careful as I can with this post knowing that the book isn't actually out for a little while yet. Lucky for me I got to read this straight after the first book, so the story flowed really well. It would have flowed just as well with a 3 month break though. 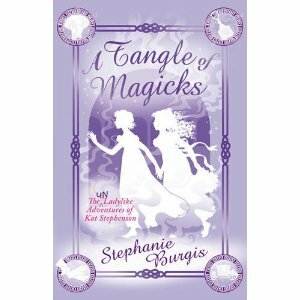 There is some spectacular use of magic at the beginning of the book which I found fabulous! If I had magical powers I would want to be able to do what the girls are able too! This book changes location to Bath (the location for some of Jane Austen's books, also regency era books) I absolutely LOVED this. Bath is one of my favorite places, I actually did a whole blog post on the place HERE! I can confirm the town is EXACTLY how it is described in the book. I did find myself reading and squealing a little as I knew and have visited the spots that the Stephenson's were visiting. This book also answered a question for me - what the Bath pump rooms were used for!! So huge thanks to Stephanie for that!!! Again Stephanie wrote with funny moments, suspense, peril all of which is hugely enjoyable. I felt a lot of concern for the characters which are signs of a great writer and fantastic story! The characters were all just as enjoyable to read about & I feel I have found mirror characters for a few of them, which I won't mention just yet. It actually made me like and even bond with the characters even more!! I will say that I could really do to have a tutor like Mr. Gregson in my life - I would definitely benefit from someone giving me some direction!!! Another fantastic installment, that has left me wanting more - Please Stephanie Can we have some more???! great review! I cant wait to read this one!! :D I really want to visit Bath too!! Glad you enjoyed it! It is just such a fab read!! And Bath is amazing! We should have a book bloggers trip there!!!! Magic. Austen. A feisty heroine who cuts her hair short and punches snobby women on the nose. I was always going to love this book. Witchery in Austen-land is a fabulous idea" Liz Banks "Kat's effervescent personality is as vibrant as before and her particular blend of magic delights.